My 20+-year mentor, Mary Beulah Palmer, recently went home to be with the Lord. In many ways, she was the woman I want to be: passionate about Jesus, gifted counselor and encourager to others, hospitable, and real. Real. Not perfect. Not prideful. Not pious. Just real. 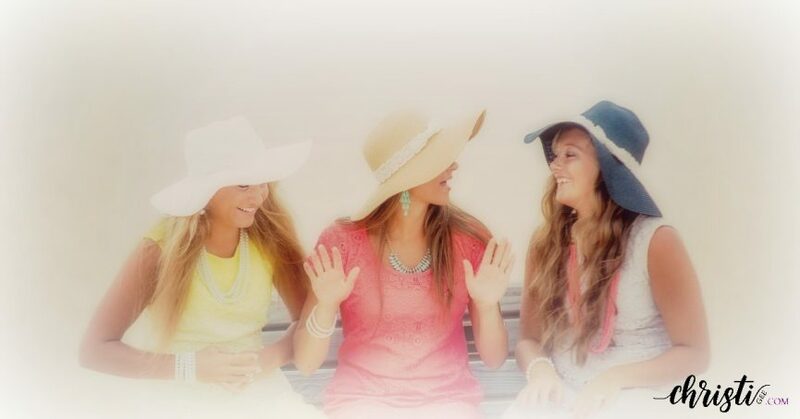 I want the real me to be just that: someone who loves Jesus wholeheartedly, has wise words to share, cheers others on, and welcomes them to be with me. 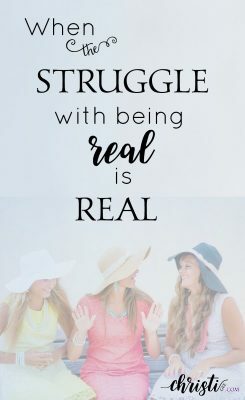 In a world that is filled with “perfect life” posts and a million books and blogs on what “Christ-like” life looks like, my struggle with being REAL is real. My pride wants to project shiny and together on the outside: a perfect marriage, kids who make me look like I parented them ideally, respected in my career, and having an influential ministry. But my heart is not fooled. It knows how often my marriage, parenting, work life, and ministry fall short because of selfishness, anger, frustration, being tired, or circumstances that are outside of my control. Real to me means that I somehow live life in such a way that people see me genuinely depending on Jesus, giving credit to Him for the good, and demonstrating the grace I live under in the not so good. Mary Beulah modeled this so well. We could spend days planning a decorating project so my living room would have a beautiful appearance or we could sit for hours while I poured out my heart about how angry I was at being treated a certain way. On the fun, “frivolous” days, she encouraged me to enjoy the satisfaction of creating a beautiful home. In the dark days, she didn’t judge or give me platitudes. She embraced the mess and helped me realize Jesus understood and was my strength and source of hope. We could discuss the impact of a black lampshade in the room one day, and wrestle with how to show love in a difficult situation the next. Real life stuff. Real responses. Her encouragement made life better and ultimately pointed me to love Jesus more. Our world needs more Real — more transparency about what it looks like to walk passionately with Jesus each day. Salt, in excess, is unhealthy and unpalatable. Salt, in the right amount, helps our body chemistry and makes things taste better. I believe it’s a good step in the direction of being that “real” person who is transparent in walking with and pointing others to Jesus like my precious friend Mary Beulah did so well. Patti Weaver has been John’s wife for almost 33 years and together they have 3 adult children: Margaret (married to Cory), Bobby and Laura. 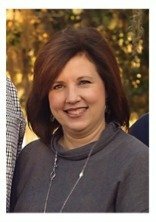 Patti has an Industrial Engineering degree from Texas A&M University and returned to her Dow Chemical career in 2011 after a 17 year “break” to raise kids and work in a variety of family-owned construction businesses. 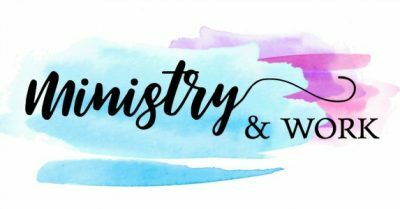 She loves being involved in her church, leading in marriage ministry, and spending time with family and friends doing projects or talking about life. Truly, Mary Beulah Palmer was a Beautiful Woman in every respect. Sensitive to the leading of The Holy Spirit. Obedient to follow where Jesus led. Willing to ‘Embrace The Cross’, sharing in His suffering. The Light of Christ shown brightly through her. Humility makes me receptive to what I need, not focused on what I think I need to give… Lord, in the midst of all my living and loving and grumbling and giving… make me real… as real and wise as the old skin horse in the Velveteen Rabbit. I do believe I minister better in my vulnerability and perceived inadequacies than when I “try harder” to be all, do all, and love all at the expense of being genuine. Thank you for this timely reminder. You have every right to celebrate, mom :). She is an amazing blessing to all who get to have her in their life. Mercy, Patti. I’m glad you wrote this post. Because to this very day, I want to duck and run when I see you, remembering how I went cuckoo-for-cocoa puffs in a football stadium sitting next to you on one of my very, very darkest days. I’m still embarrassed about how far I let brokenness take me to crazy. And this article releases me from that, because you got the bare bones raw and real me that day. 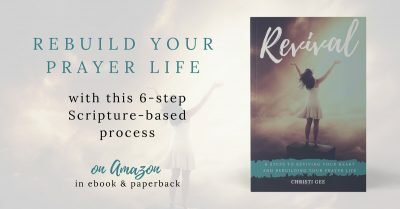 Thankfully, you also get a glimpse at how far into redemption God can bring a broken woman. Thank you for sharing. Proud of my big sis!!!! Awesome word Patti!!! !